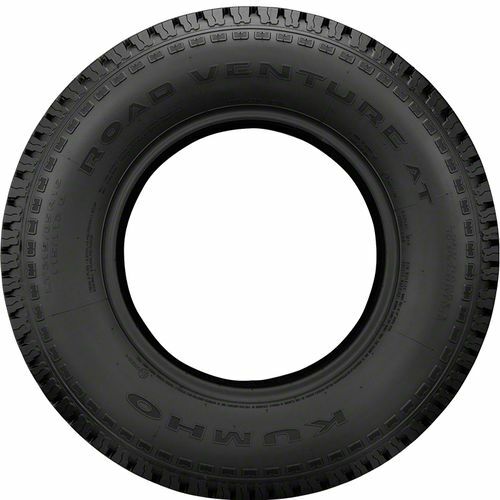 The Kumho Road Venture AT KL78 is an all-terrain tire specially developed for drivers who are looking for on and off-road traction, steering stability, and durability. Ideal for jeeps, pickup trucks, and sports utility vehicles, the Kumho Road Venture AT KL78 gives you the confidence to drive on and off the road no matter what weather it is. It features a special tread compound that™s resistant to cuts and chips allowing you to enjoy driving the most challenging terrains. 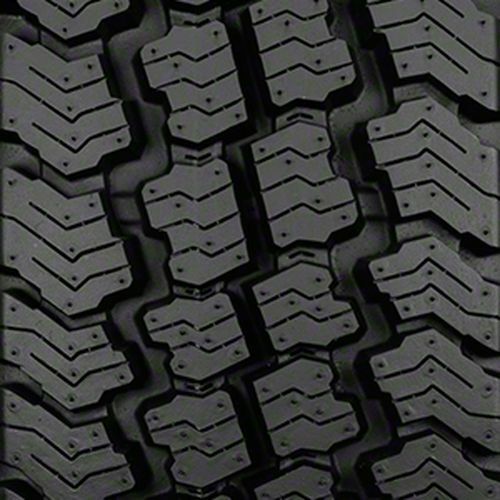 The all-terrain tread pattern consists of large independent tread blocks which improve off-road traction, steering response, and directional stability. To help enhance wet and winter weather traction are the full depth circumferential zigzag grooves and multiple lateral grooves which evacuate water efficiently out of the tires while increasing hydroplaning resistance. 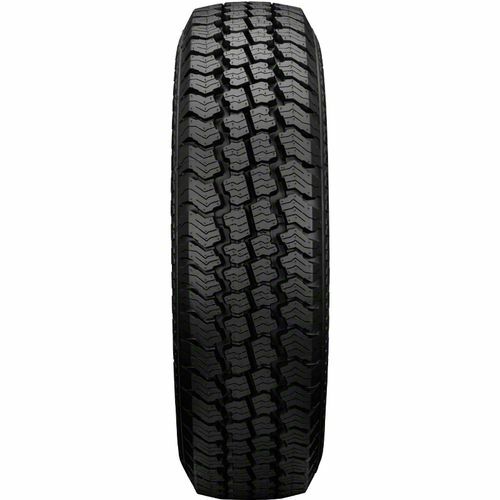 To get the most out of the Kumho Road Venture AT KL78, it is recommended to use in sets of four. 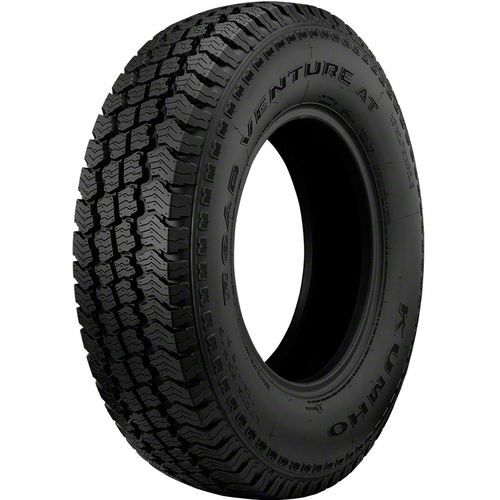 LT215/85R-16 N/A 2,337 lbs 65 psi 15/32nds N/A 9" N/A 30"
Purchase includes the Kumho Road Venture AT KL78 tire only. The wheel rim shown in the picture is not included. Picture provided is a stock picture from the manufacturer and may or may not reflect the actual product being ordered. All Kumho Road Venture AT KL78 tires are continuously developing with manufactured improvements. With that said, Simple Tire and the manufacturers have the right to change these tire specifications at any time without notice or obligation. Please Note: Specifications of the Kumho Road Venture AT KL78 tires shown above are listed to be as accurate as possible based on the information provided to us by Kumho tires. Superb ride and handling compared to Michelin. Very quite road noise level considering the moderately aggressive tread pattern.